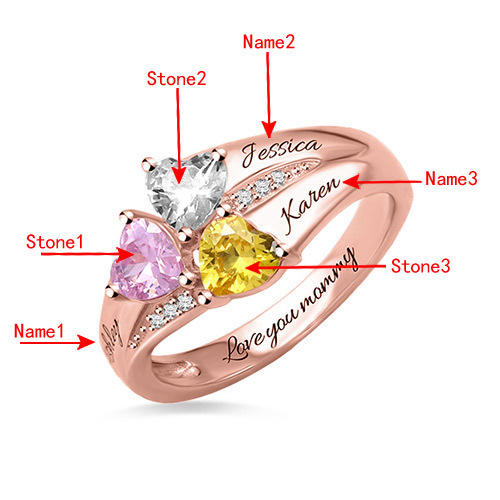 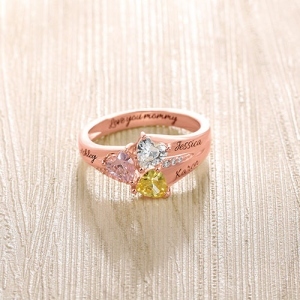 Thank mom or grandma for always being wonderful with this a one-of-a-kind loving gift, the Heart Personalized Ring. 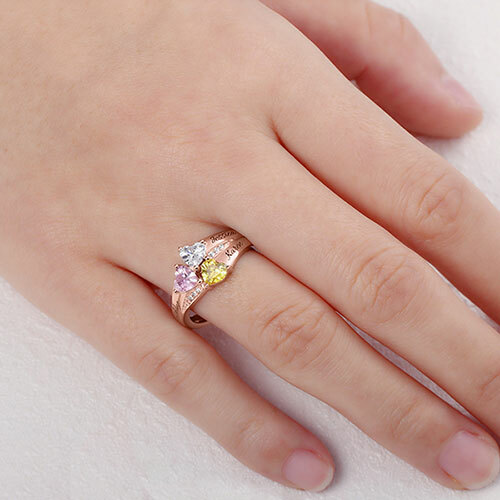 Exquisitely handcrafted in gleaming sterling silver, the flowing ring design is an artful creation with three personalized heart birthstones finished by adding a sweet message to both sides of the shank and inside the ring band. 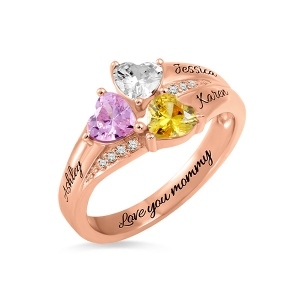 A meaningful and heartwarming way to keep each child close and a celebration of love.